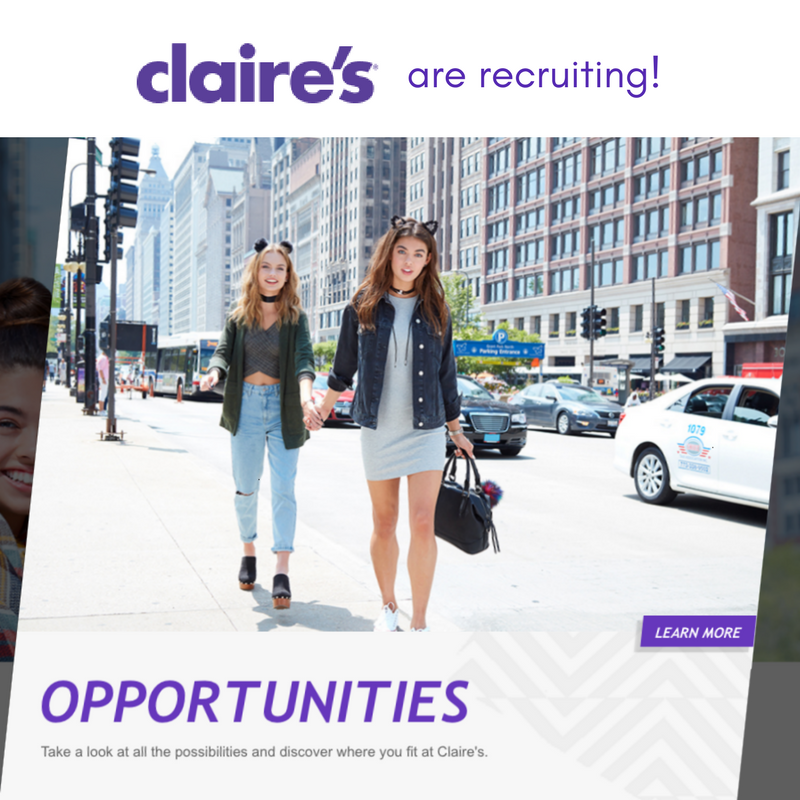 Claire’s are recruiting for a part time, 4 hr contract Supervisor! Experience is desirable but not essential as full training will be provided. Applications are available in store, apply now!